Let's talk about those berry blocks. The berry block in my Coastal Lily block is the block that has the stems and berries coming out of the center of the bloom. Since I had to change the thread, the machine stitch, and the presser foot to make this block, I decided I wanted to make them all at once. First I had to decided what stitch I wanted use. After playing around with different options, I selected the stitch on the bottom. 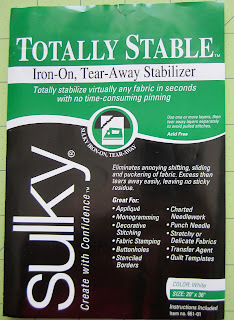 I also used Totally Stable by Sulky, an iron-on, tear-away stabilizer. After adhering the stabilizer to the fabric, and using my Frixion pen, I traced the berry stems from the pattern provided. 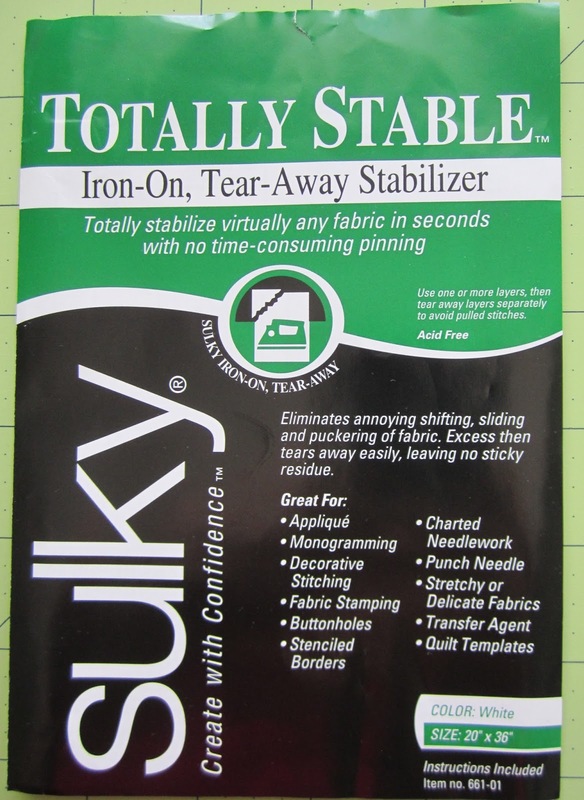 You need to trace the stems after attaching the iron on stabilizer, do it before and your stems will disappear. Ask me how I know! I also traced the base of where the berries should be placed to make adding the berries later a breeze, and to make sure I stitched the stems into where the berries will be appliqued. This foot made lining up and following my traced stem line so easy. It was a day's work, getting the blocks prepared and stitching the stems, but a good day's work. Next up, machine appliquéing the berries. The pattern calls for cutting these squares an inch larger than required, then squaring them up, which I will do after I add the berries and tear off the stabilizer. I used a Pfaff Expression 4.0 to stitch the berry stems. The decorative stitch number is 155 and the presser foot is the straight stitch presser foot. I don't have a number for the foot but here is a close-up of it. 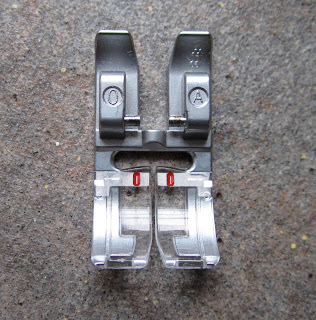 I really appreciate the fact that you are so detailed and provide pic's in explaining your piecing process. This is going to be another stunning quilt. What do you do with all your beauties? You're so smart to machine stitch those stems. I would have embroidered them ... and would be working on them forever! 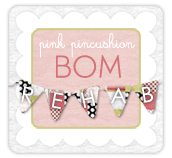 Love everything about your block! Making great progress and can see where it would be easier to do all the stems at once. I love that pen and works wonders and comes off so easy. Thanks for all the tips and can't wait to see more blocks. Want to see the colors in Lilys. Thanks for the helpful post. Looks like I will have to get this pattern ordered and join you and Sinta. Oh dear - I did not need another project but that pattern is gorgeous and classic. lovely stitch! what number stitch and what number foot did you use?? can't see the number on the foot behind the needle & thread!!! you are a genius, ms. thelma!!! Thanks for showing all these steps in the process - we do want every detail! You, my dear, have the patience of a saint. I don't know if I'd tackle this. Now that is a very sweet little block! 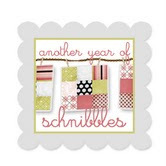 I was thinking that those were going to be embroidered! I love your option there! I have used pearl cotton in the machine before... I think it works well... so I am going to try that out. Your blocks are so perfectly pretty! You are just like Mary Poppins! (practically perfect in every way)!ha!